From 2nd July to 13th August, works from the Düsseldorf painter Manfred Kuttner (born in 1937) will be exhibited in GALERIE KÖNIG. At the beginning of the 1960s, Manfred Kuttner moved from Dresden to Düsseldorf Academy of Art, where he exhibited his first works in an informal community of artists: Gerhard Richter, Konrad Lueg and Sigmar Polke. The most renowned examples are the exhibitions held either in rooms rented in the Academy, in Kaiserstraße 31 in Düsseldorf or in the Junge Kunst gallery in Fulda. At that time, American Pop Art and the German Fluxus movement were the main point of focus for these students of K.O. Goetz. 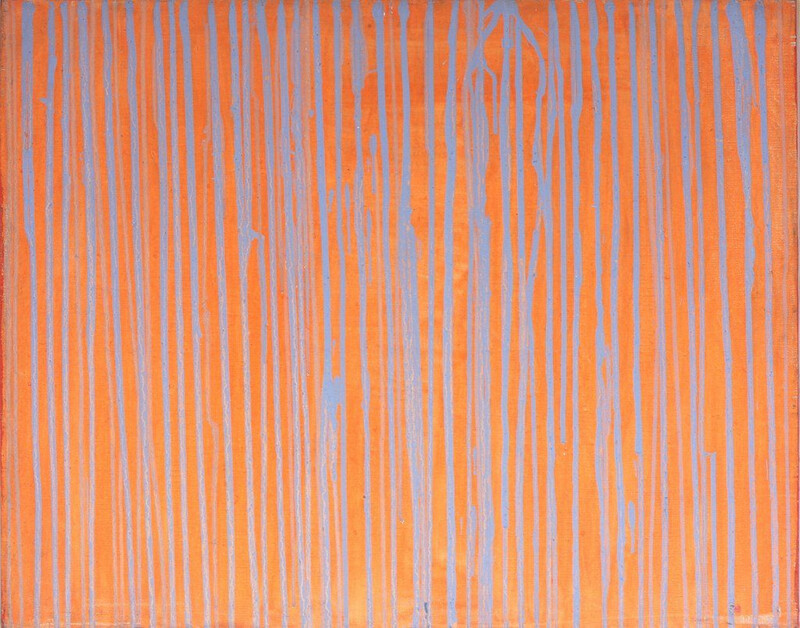 In contrast to the other three artists, Manfred Kuttner withdrew from the art scene in the middle of the 1960s. Previous to this, his work had been part of the Neodada, Pop, Decollage, Kapit. 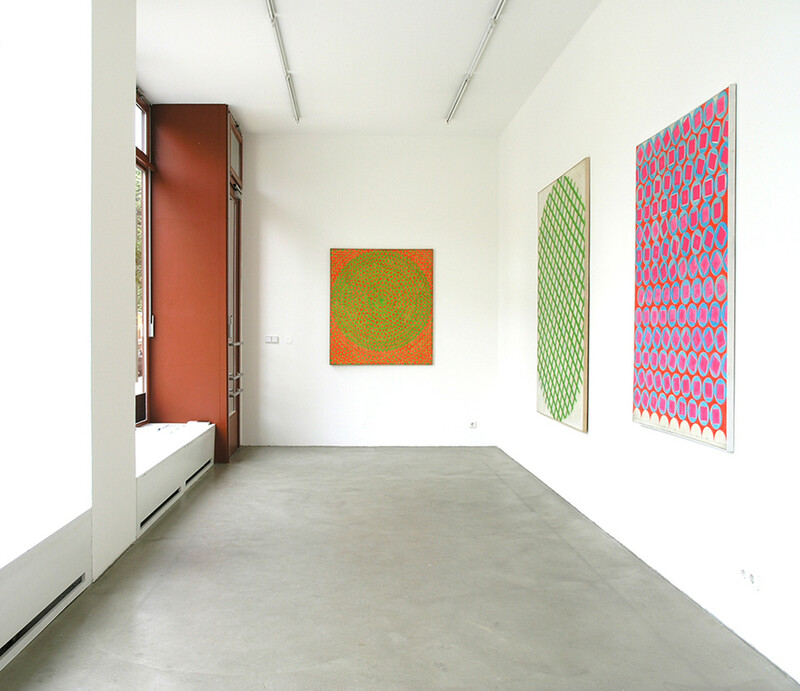 Realismus exhibition at the René Block gallery in Berlin. 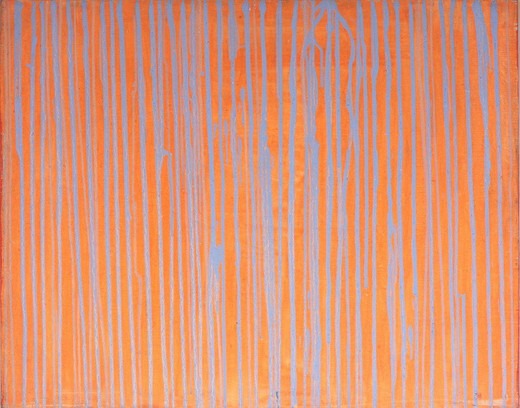 Now more than 40 years later, a cycle of work by Manfred Kuttner from the years 1962 to 1964 is being exhibited in Berlin, a cycle that, even today, is unique as regards painting from the 1960s. Spurweite (1962), Wurzel aus Null ist Eins (1963), Hasard (1962) or Tapt Vaas (1962) are paintings that give away his laconic, and sovereign, way of dealing with the subject of painting. 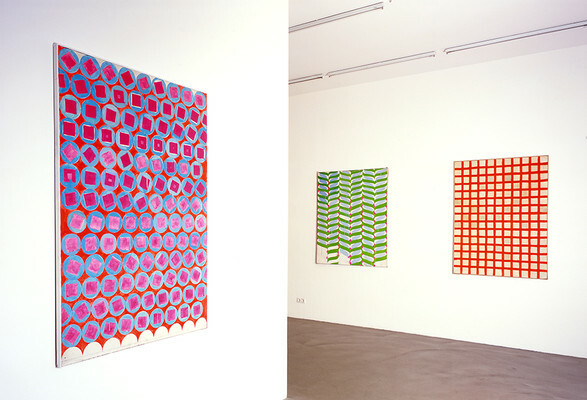 Like Richter, Lueg and Polke, painting itself was a subject of Kuttner’s work. 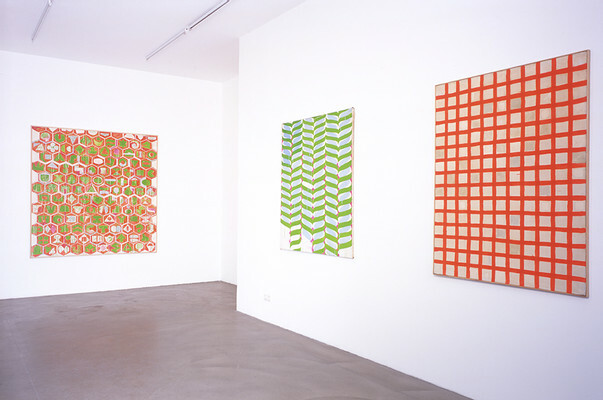 While the other three artists took popular culture as their point of departure, Manfred Kuttner focussed more on non-representational painting. In his paintings, he used Plaka paints in neon colours; these hit the market for the first time at the beginning of the 1960s. The combination of luridly bright colours, laconic titles and the breakdown of the structure of the picture plane into basic geometric patterns is the defining characteristic of the paintings in this exhibition. However, it is not the geometric precision or the straight lines that are in the foreground; but the effect of colour and contrast that are developed through the free application of paint. 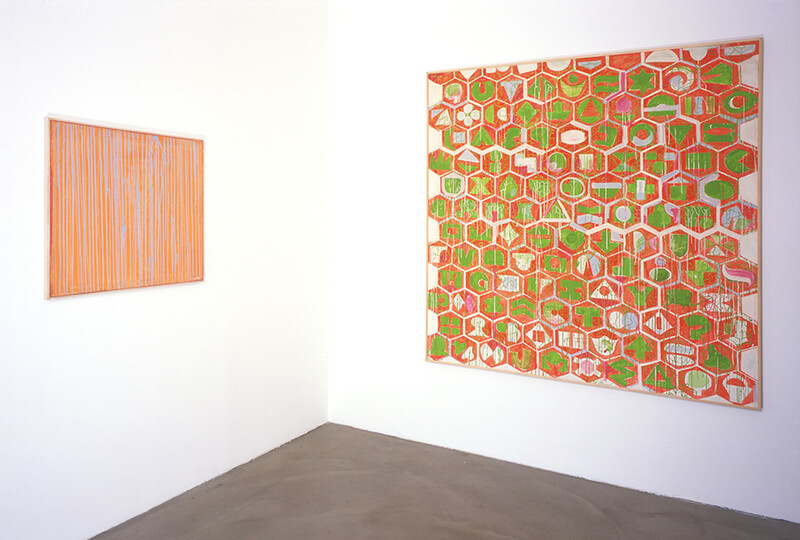 In this exhibition of the works of Manfred Kuttner, like in earlier exhibitions with William Copley and Öyvind Fahlström, for the third time, the gallery is presenting an older generation of artists. 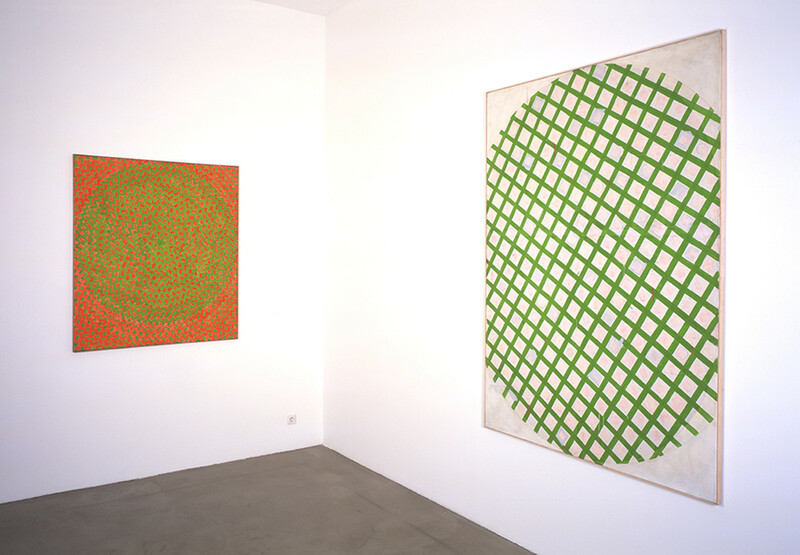 These early works by Manfred Kuttner contain aspects that are often to be found, and play a similar role, in the work of younger contemporary artists, who understand their painting as a conceptual act.